Shanghai (Gasgoo)- There were a total of 31.72 million motor vehicles newly registered in China last year, making the country’s motor vehicle population up to around 327 million units by the end of 2018, according to the data announced by China’s Traffic Management Bureau of the Public Security Ministry. 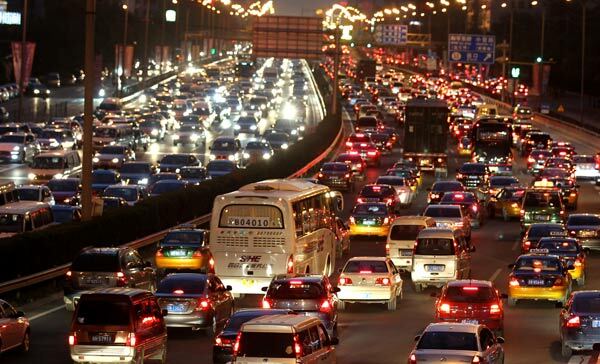 China’s car population by 2018 rose to 240 million units, which was 22.85 million units more than that of the previous year. Of that, the number of small-sized passenger service vehicles grew by around 20.85 million units over the previous year to 201 million units, the major driving force for overall car population growth. The private car ownership reached up to 189 million units last year and was increased by 19.52 million units averagely on an annual basis for the past nearly 5 years. In addition, the number of trucks registered in 2018 reached an all-time high of 3.26 million units with the national truck population climbing to 25.7 million units. As the end of 2018, China has had a total of 61 cities with over 1 million registered cars, among which 27 cities have got car population topping 2 million units. Eight major cities, including Beijing, Chengdu, Chongqing, Shanghai, Suzhou, Zhengzhou, Shenzhen and Xi’an, saw their respective car parc exceed 3 million units. The new energy vehicle (NEV) population grew by 1.07 million units throughout 2018 to 2.61 million units, among which 2.11 million units are all-electric vehicles. Besides, a total of 369 million car drivers have been by far registered in this country, making up 90.28% of total motor vehicle driver numbers.